LOCAL residents are invited to Lancashire Care NHS Foundation Trust's Annual Members' Meeting and Membership Conference on 14 September 2018. The Annual Members Meeting (AMM) provides an opportunity for the Trust to present key information to its members focusing on the achievements of the Trust in the past year and a look forward to the challenges that the organisation will face in the future, including the financial outlook. For Trust members, the AMM allows them the opportunity to the meet the Trust Board, including Trust Chair David Eva and Chief Executive Heather Tierney Moore, and to ask the Board questions about the organisations vision and priorities. The event is also a great opportunity to find out more about Trust services and getting more involved in Lancashire Care by becoming a volunteer or joining as a member. The Membership Conference will run from 10am, until 2:-30pm and the AMM will take place in the middle of the membership conference, beginning at 11.30am and ending at 12.45pm. The event will be held at:- Northumbria Hall, St Cuthbert's, Lytham Road, Fulwood, Preston, PR2 3A and lunch will be provided. 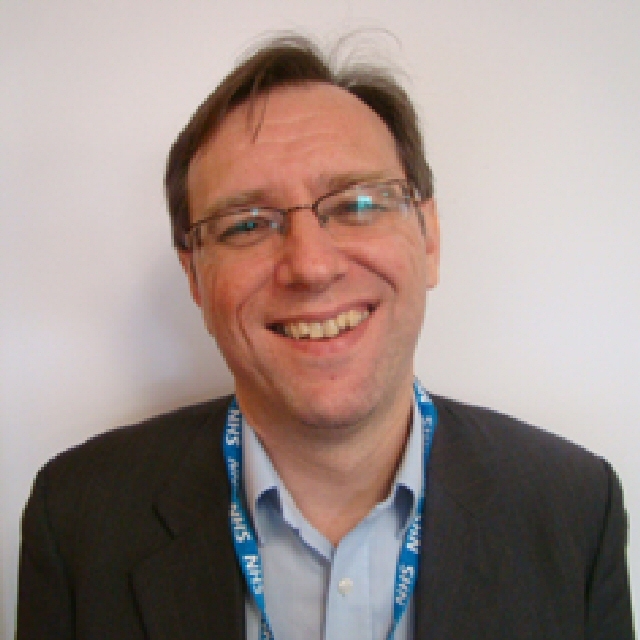 David Keddie, Stakeholder Engagement Manager at Lancashire Care NHS Foundation Trust, said:- "Building resilient communities is the theme of the membership conference, which will explore Lancashire Care's role in supporting recovery and building the resilience of people who use the Trust's services, not just on treating or managing their symptoms. The meeting will provide an update about what Lancashire Care is doing in your local area and there will also be a chance to speak with current governors to find out about their roles. This is a great opportunity for anyone interested in working with the Trust as a governor so please come to find out more about how you can get involved." To register your attendance at the AMM and/or Membership Conference, please email:- Membership@Lancashirecare.NHS.UK or call:- 07534 605214 stating any access or dietary requirements. FOR more than 15 years, Ormskirk and Southport Oddfellows have been supporting Southport's coastline heroes; Southport Offshore Rescue Trust; with charitable donations. 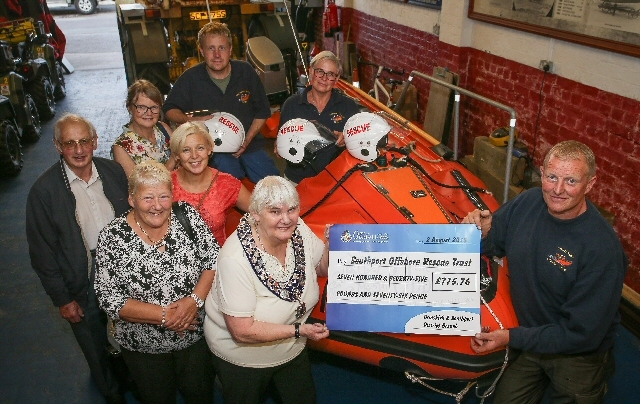 This year is no exception for the local friendly society, as a group of its members visited the Trust's Lifeboat Station, on 2 August 2018, to present them with their most recent financial contribution of just over ₤775. Southport Offshore Rescue Trust is an independent charity that provides a 24 hour lifesaving Lifeboat and land based search and rescue service around the Sefton coastline. Commenting on the donation, Lifeboat Coxswain Keith Porter, said:- "We're responsible for all our own financing and fundraising and receive no regular Grant Aid toward the running costs of the Lifeboat service. The crew also commit their time freely. So without the generosity of those such as the Oddfellows, we couldn't do what we do. We can't thank them enough for their on going help." The latest donation was raised at 2 of the Society's fundraising events, explained Oddfellows District Chairman, Lillian Leece:- "Our members dug deep at a recent dinner dance in the Isle of Man and at a garden party, in Southport. What the charity's Lifeboat and land rescue crews do day in, day out is extraordinary, especially considering they're volunteers. We're very pleased to help where we can." Based on the Esplanade, the Lifeboat Station needs a minimum of ₤60,000 a year to stay in operation, notwithstanding to maintain its 2 Lifeboats, launch vehicles, ATV quad bikes and all other lifesaving equipment used by the crew. To make a donation or to find out more about how you can support the work of the Southport Offshore Rescue Trust, contact:- Info@Southport-Lifeboat.Org.UK or call:- 01704 501471. Ormskirk and Southport Oddfellows arrange regular social events and activities in the Southport area, and continually fundraise for good causes. To receive a copy of their most recent events diary, contact Judith Catton on:- 01704 545279, send them an email or visit:- OddFellows.Co.UK.